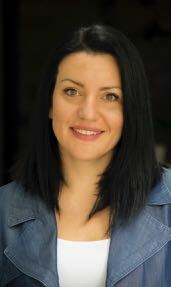 Ana Babovic (ana@weown.it) is the Executive Director of the Leading Change Network and has led We Own It's Fellowship program since 2018. She grew up in Serbia, a country of economic crises, wars, and sanctions when she was a child. She spent most of her teenage years on the streets protesting against the regime, where she learned the power of organized citizens. Ana began her career working as Advisor to the Deputy Prime Minister in the new democratic government. She soon realized that for democracy to work, there needs to be a strong and active citizenry. This belief led her to establish Serbia on the Move, a national organizing and change-making nonprofit. In her leadership role in the organization,she led several national campaigns that engaged thousands of citizens and resulted in opinion shifts and policy changes in the realms of of anti-corruption, healthcare, labor rights for women, and more. In 2016, Ana obtained a Master’s Degree at Harvard University, where she also served as Head Teaching Fellow for Professor Marshall Ganz’s Public Narrative and Community Organizing classes.